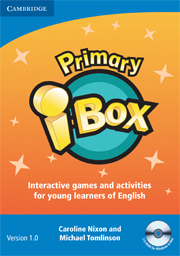 Designed to make learning fun and encourage communication in the Primary classroom, the Primary i-Box is a collection of seven teacher-led, multi-media games and activities. It includes all the key vocabulary from the Young Learners English (YLE) Starters, Movers and Flyers tests, with customisable games that allow you to select which vocabulary to practise. To make this an even more flexible resource, all spellings and pronunciation are given in British and American English, so you can choose! Primary i-Box can be used with an interactive whiteboard or a computer and projector. 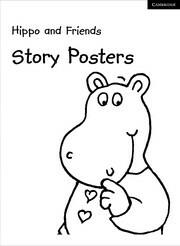 Easy to use, with pop-up teacher's notes included. Includes a variety of games and activities designed to supplement any course and make learning fun. Flexible games allow you to practise the vocabulary YOU want: choose by YLE level, vocabulary topic, part of speech, number of syllables, first letter of a word, and more. Wide range of activities means the material is suitable for different learning and teaching styles. Allows you to access classroom games and activities directly through your interactive whiteboard, but can also be used with a computer and projector.